HODIE (Roman Calendar): ante diem quartum Kalendas Ianuarias. 3-WORD MOTTOES: Today's 3-word verb-less motto is Nihil sine labore (English: Nothing without hard work). ANIMAL PROVERBS: Today's animal proverb is Camelus, cupiens cornua, aures perdidit (English: The camel, hoping for horns, lost its ears). POLYDORUS: Today's proverb from Polydorus is: Omnia probate, quod bonum est, tenete (English: Try all things; what is good, keep). GREEK PROVERBS: Today's proverb is Ὀῖκος φίλος οἶκος ἄριστος (English: Dear house, best house... something like our "east or west, home is best"). 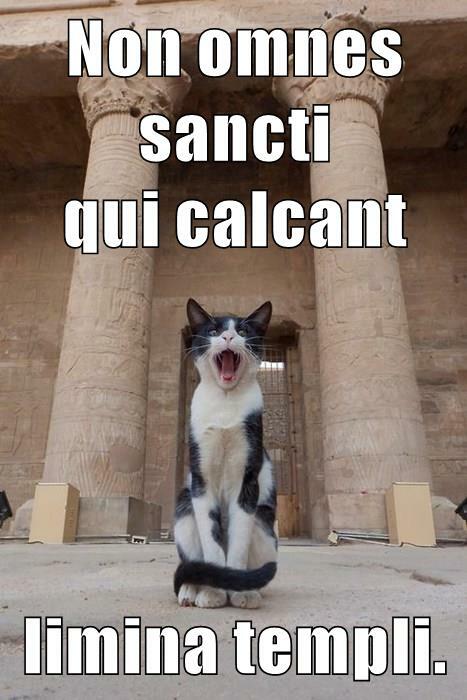 Non omnes sancti qui calcant limina templi. Not all are holy who tread the temple's threshold. 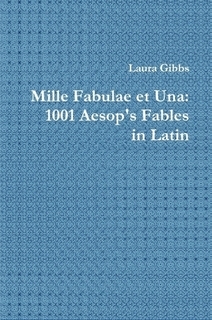 FABULAE FACILES: The fable from the Fabulae Faciles widget is Haedus et Lupus Fores Pulsans, a "home alone" fable (this fable has a vocabulary list). 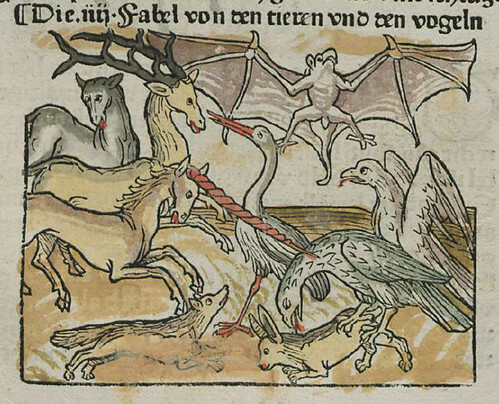 MILLE FABULAE: The fable from the Mille Fabulae et Una widget is Vespertilio Perfidus, the story of the ambiguous bat. 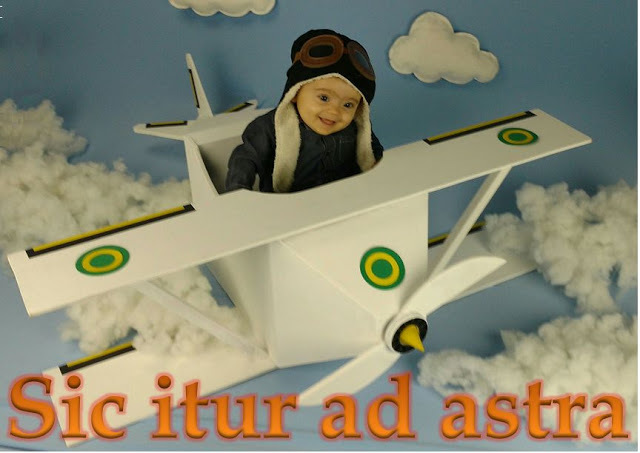 And there is also a new Latin LOLBaby: Sic itur ad astra!